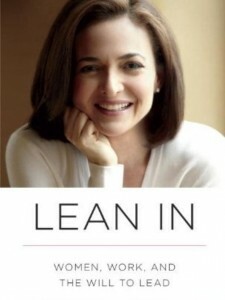 Sheryl Sandberg’s recently published book ‘Lean In – Women, Work and the Will to Lead’ is causing quite a stir. Currently No.1 in the Amazon leadership best sellers, the book is Sheryl’s manifesto for helping professional women get to the top; as COO of Facebook she certainly has the war stories to be a credible author. In particular, she exhorts professional women to ‘lean in’ and be bold to assert their place at the top table of business life. As I read ‘Lean In’ I had an instinct to write a complementary book targeted at male business leaders called ‘Lean Out – Men, Home and the Will to Follow’. For in the same way that professional women can be plagued by guilt at declaring their ambition and devotion to the world of work, I work with many male business leaders plagued with guilt at declaring their ambition to ‘lean out’; stepping off the treadmill to spend more time on other non-revenue earning ‘stuff’. Closer to home, I have experienced this guilt myself having recently started a part-time doctorate following an intense 28 year professional career as a corporate leader and entrepreneur. On the days of my ‘working week’ that I devote to my doctorate I sit at home reading the latest leadership journal articles when, all of a sudden, I hear this sinister voice in my head that whispers ‘This isn’t real work, is it? You should be sweating it out in some corporate boardroom, slaying mythical dragons, marching to war and heroically saving the day.’ In response I cry ‘Get thee behind me, alpha male genes. Why should I feel guilty about not bringing home the bacon for just one day in my life and focussing upon a broader means of expressing my identity in the world?’. For this reason, I think the important messages in ‘Lean In’ are not just for professional women alone; they are for everyone who is attempting to break out of their stereotypical, inherited conditioning to become a more authentic, 21st century human being. This is a challenge for all of us and one which I think the world needs us to step up to if we are going to solve some of the most deep-rooted world issues. So where do we start? Chapter 6 of ‘Lean In’ gives us a clue. It is titled ‘Seek and speak your truth’. Clearly, when I noticed this I was struck by the synergy with our own book where we declare one of the principles of challenging coaching to be ‘speak your truth’. On page 77 of Sheryl’s book she says ‘As kids grow up, we teach them to be polite, watch what they say, not hurt others’ feelings…. But as we learn to speak appropriately, we lose something in authenticity…. people constantly back away from honesty to protect themselves and others.’ Again, I do not see this as solely a challenge for professional women. I regard it as a universal challenge for anyone who is on a path of genuine and continuous self-development. Whether you are a male business leader or a professional woman, your own learning edge may be to ‘lean in’ more or to ‘lean out’ more. I don’t know what your edge is. I can only speak for myself and my truth is that when I try to lean out it scares me silly. However, I also know that by declaring that publicly through this blog I am a step further down my own path. I know that, at least for today, I have done my bit and now I dare you to do likewise – go speak your daily truth! ‹ The Elephant in the Room – Cathartic Release of Tension.